Any chance this would clear a TE37SL 18x8.5 45offset? Anyone got pics of the WedsSports TC105N 17x8+42 on a Performance Package equipped BRZ? That doesn't sound right; those numbers would result in only 55% of the piston area of the stock front calipers and a very different bias. Yeah, we were wrong on that. Just took the face measurement . 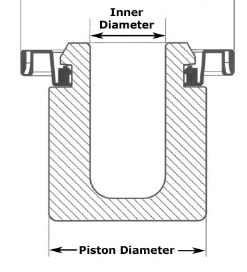 Confirmed 40/40 for the piston sizes on the OE Caliper. Also, just wanted to share a video we recently released going over some info on the PP brakes and an aftermarket Brembo GT kit. To add another item to the list, what about 949 6ULs in 17x8x40? I don't think the template will be much help as I haven't made the move on the wheels yet, just trying to figure out what will fit before I make any decisions. @ft86 Speedfactory : after watching that video i have to note but there is one very big gain in my eyes for PP brembos. They are only option that is street legal here (- that only brake upgrades tested/offered as official options by car manufacturer are legally allowed). More expensive, yes, less efficient, yes .. but one can pass MOT inspection here in LV without changing back to stock, similar to STI/WRX that had two brake options. Think of it as TRD intake vs better performing aftermarket one, like Perrin's or Grimspeed's. TRD is one that has CARB sticker, even while performance gains are less. I don't think that PP brakes are worth it unless you get it as a factory option that is only $1200. At that price I'd consider it to be a complete bargain. Well... you can put the RPF1s 17x9 +35 on the no fly list. It took 8mm worth of spacers to get this clearance (and poke). Learn from my mistake. Trust me I've been there... as counter intuitive as it sounds. It's because the shape of the "spokes" that they work, the 17x8's are concave and the 17x9's are flat. Has anyone else confirmed fitment of RPF1 17x8 +45? @Capt Spaulding - Jackson Racing said that 17x8 949 6ULs will not clear. 17x9 will. So is there any reason to go with this kit over the AP Racing Sprint kit? Build Thread / OFT Stage 2, Tomei UEL, Perrin Resonated, ST Coils, 2 Sets of Wheels, Rally Armor, TOMS Tails. I would think that would be a preference call instead of a logistical call. As a note, I believe there are more wheels that easily fit over the AP Racing Sprint kit than these Brembos.